September 15, 2018 5:16 pm. Avilius (right) has reaffirmed his rating as a major prospect for spring’s feature staying races. 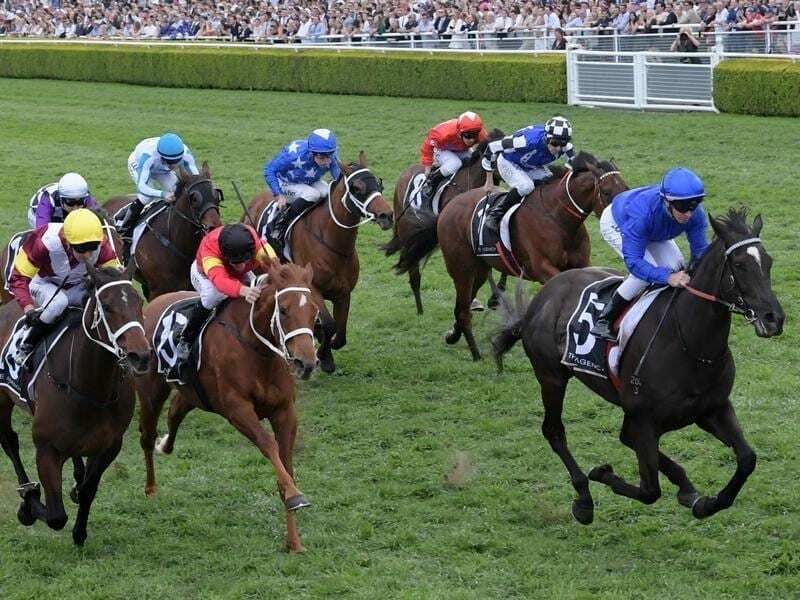 The Godolphin-owned five-year-old earned favouritism for Saturday’s Group Three race over 2000m with his wins in a benchmark race and the Premier’s Cup. “He has been a breath of fresh air this horse,” Godolphin representative Darren Beadman said. “Glyn (Schofield) rode him a very confident race,. “He put him to sleep and when he popped him off at the half mile and got on the back of One Foot In Heaven, got a nice tow into the race. “He can’t be penalised for the Metropolitan or the Cups because of the set weights and penalties for this race. “He has announced his arrival in the country with a good start to his career and today was another feather in his cap,” he said. “He was a fair way back in the run but it was run pretty solidly and I was fortunate enough to get him to the outside and allow him to use that speed that he has got.